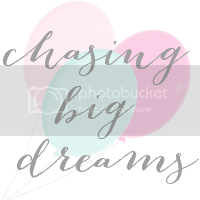 Chasing Big Dreams: Introducing the iCozy! The one thing I love about blogging is all the friends I've made along the way. It's been so neat to follow along with my friends' dreams and watch them grow them into realities. Alissa was one of the first bloggers to reach out to me with a kind email, and our friendship has grown from there. Last year, I attended Blog Sugar and Alissa graciously opened her home up to me for four days. Talk about a good friend, right? Right! 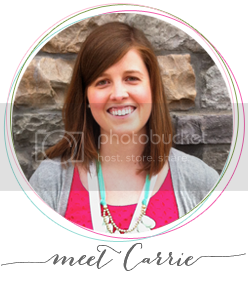 This girl is the real deal, a total sweetheart, and I'm so thankful that the blogging world brought us together. Alissa has been working on a new line that I'm going to let her introduce herself! I'm Alissa and I blog over at Rags to Stitches. I also have a handmade shop and I'm so excited to share with you the launch of my brand new iCozy!! As you can imagine I've been so excited about today for the last couple of months. The iCozy has a fun and vintage feel. Girly from top to bottom, the iCozy is newly adorned with vintage lace is still lined with multi-functional minky fabric. 4 brand new colors, each with 3 vintage lace color options. No more digging through your purse to find all your iPad Accessories, now you can carry them all in your new iCozy. The new design features a pocket along the back, allowing you to take your iPad charger and earbuds with you wherever you go. Each iCozy comes padded and lined with a multipurpose minky fabric. Need to clean your glasses? The front of your iPad has finger prints? Clean it away with out worry of scratches with the versatile, minky lining. Whether you're going to coffee with a friend or carpooling your kids to soccer practice, your iPad will travel in style. I really, really hope so! This design is near and dear to my heart. So head on over to the shop and snag your iCozy as quantities in each color are limited. The ipad cases are adorable! Thank you so so so so so much for featuring me friend!! love you!